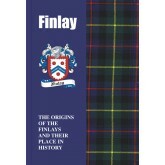 With ancient Gaelic roots, early forms of the Finlay name first appear in the Scottish historical record as early as the thirteenth century. Closely allied to the proud Clan Farquharson, they shared in both its glorious fortunes and tragic misfortunes, while others have made their mark through a colourful range of endeavours and pursuits. On the stage, Frank Finlay is the veteran English actor of stage, television and film, born in 1926 in Lancashire. 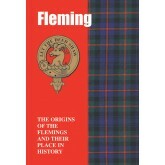 &..
With distant origins in the Flanders region of Western Europe, Flemings of today can also lay claim to firm roots in the ancient soil of Scotland. Settling here from as early as the twelfth century, many adopted the name of Fleming while others took the name of the lands granted to them by grateful monarchs in return for loyal and faithful service to the Crown. In other fields of endeavour, Sir Alexander Fleming, born in Ayrshire in 1881, was the Scot who discove..
With their name deriving from the martial skill of arrow making, generations of Fletchers became valued members of the great community of clans of the Highlands and Islands of Scotland. As kinsfolk of the MacGregors, they shared in both that proud clan’s glorious fortunes and tragic misfortunes, and many gave their lives in what proved to be the forlorn cause of the Royal House of Stuart. 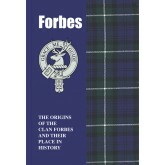 In totally different fields of endeavour, Horace Fletcher, born in 18..
With their name derived from the Gaelic forba, meaning a field or district and also found in the landscape in the form of the Braes of Forbes, Clan Forbes thrived for centuries throughout western Aberdeenshire. The distant ancestor of the clan was the warrior Oconachan, who reputedly killed a bear that had devoured nine maidens. The Braes of Forbes had been the bear’s main hunting ground, and Oconachan accordingly took this territory as his own. 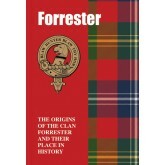 Oconachan’s descendant..
With roots that stretch back through the dim mists of time to Scotland’s ancient Celtic past, Forrester is a name that has dominated the pages of the nation’s turbulent history. Recipients of high honours and other rewards, they were frequently to be found on the bloody field of conflict, often at great cost to themselves, while in later years many have found fame on the international stage. 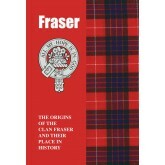 Read here the inspiring saga of the distinguished Clan Forrester. .. 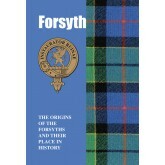 Established in Scotland since at least the twelfth century, the Forsyths have shared in both the nation’s glorious fortunes and its tragic misfortunes. With the motto of ‘A repairer of ruin’ and crest of a griffin, they were stalwart defenders of the nation’s freedom and independence, and also equally firm in defence of their faith, often at bitter cost to themselves. In contemporary times and in the world of film, Scots-born Bill Forsyth is the writer and direct..
Tracing a descent from Anglo-Norman knights who first settled in Scotland in the mid-twelfth century, the Frasers of today can lay claim to a truly martial heritage, with their name ultimately originating from ‘Friselli’, a ferocious tribe who battled against the Roman legions in Gaul. First found in Scotland in the Borders, they later acquired other territories that include, much further north, Inverness-shire and along the Beauly Firth. At great cost to themsel.. 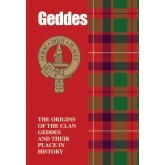 Both North East Scotland and the Borders were the main stamping grounds from earliest times of proud bearers of the Geddes name. 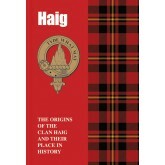 With close kinship to no fewer than three ancient Scottish clans, they found themselves at the heart of some of the most turbulent events in the nation’s history, while others have gone on to impress their distinctive mark at an international level. Their stirring tale is recounted here. .. 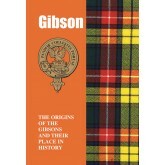 Rooted from an early period in the ancient soil of Scotland, particularly in Galloway and along the eastern shore of Loch Lomond, bearers of the Gibson name were among those in the vanguard of the struggle for the nation’s freedom. Away from the field of conflict, others have thrived through a diverse range of much different endeavours and pursuits. In the world of film Mel Gibson, born in 1956 in New York, is the acclaimed actor, producer, director and screenwriter w..
A name with a number of possible points of origin, the Gordons hold a prominent place in the pages of the drama that is Scotland’s frequently turbulent history. 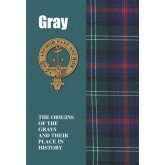 From about the twelfth century, they were particularly identified with Berwickshire, in the Borders. It was through Sir Adam de Gordon, a staunch supporter of the warrior king Robert the Bruce, that the family’s fortunes began to truly thrive – with Sir Adam entrusted by Bruce in 1320 to carry the histori..
A family that for centuries was at the forefront of the struggle for Scotland’s freedom and independence, the origins of the Grahams stretch back to Anglo-Norman knights of the name who were granted lands in the northern kingdom in the mid-twelfth century. Sir William de Graham witnessed the foundation charter of the Abbey of Holyrood, while they fought bravely during the Wars of Independence for both William Wallace and Robert the Bruce. 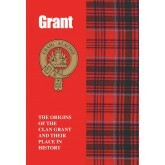 High honours and d..
A name with a number of possible points of origin that include from a family of Norman knights who settled in Scotland in the mid-twelfth century, ‘Grant’ features prominently in the pages of the colourful drama that is the nation’s history. One indication of their prominence is that Sir Lawrence de Grant is recorded as Sheriff of Inverness in 1260, while their main territories were Strathspey and Rothiemurchas. Absorbing and assimilating the culture of the nativ..
Tracing a descent from a powerful family of Norman nobles who had hailed from Picardy, in modern day France, and fought at the side of Duke William of Normandy at the battle of Hastings in 1066, the thousands of Grays worldwide today can also lay claim to a proud heritage rooted firmly in the ancient soil of Scotland. Many gained distinction in the bitter and bloody Wars of Independence with England. One of the ablest supporters of the great warrior king Robert the Bruce was Si..
With the motto of ‘Either peace of war’ and crest of a hand wielding a sword, the Gunns trace a proud descent from an early thirteen century Norse King of Man and the Isles. 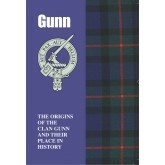 His second son Gunni, with the name meaning ‘war’, subsequently settled in Scotland and, marrying a sister of Harald, Jarl of Orkney, acquired lands in Caithness before the clan acquired the lands of Kildonan in Sutherland in the fifteenth century. Flourishing in their new domains, they nevertheless wer..
Of truly martial stock, the Haigs can trace a descent that stretches back to a warrior of mixed Pictish and Norwegian extraction who survived a shipwreck off the Berwickshire coast in the Scottish Borders and, befriended by a powerful local lord, subsequently gained through marriage land near the River Tweed. His descendants thrived and came to hold high office, including the post of Constable of Scotland, and proved loyal to the cause of the nation’s freedom and independence, ..